(Cover by John Sewell - more here). He glanced across briefly at Beatrice. She was enjoying it all right, she was loving every bloody minute of it. It didn't matter how he felt or what he wanted to do so long as she could sit about like Lady Muck. Well, she didn't look like Lady Muck, she looked like Beat Prosser, and the sooner she realized it the better, giving herself airs ever since they won the money. He blamed James for all these fancy ideas. That la-di-dah voice and fairy manners. It made you sick. 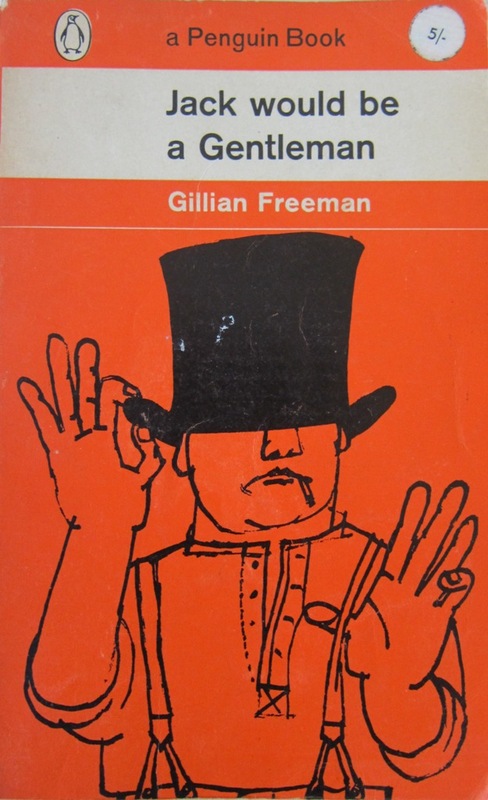 Gillian Freeman takes her title from a proverb which she gives as 'Jack would be a gentleman if he had money', but which is more commonly given as 'Jack would be a gentleman if he could speak French'. Both expressions describe a working class man with aspirations, but the Jack in this story has no ambition at all. He is quite content with things as they are: he enjoys his work as a house painter, and is perfectly happy as long as his children are doing well and he can spend a few hours each evening in the local pub drinking with his friends. He would have everything he wanted in life if his wife Beatrice would leave off nagging. But Beatrice has always aspired to something more. She knew she was marrying beneath herself when she became the wife of a house painter, but she had reasoned that with a little application Jack would soon would rise to foreman, and then one day he could establish a decorating business of his own. She never thought to ask if this was what he wanted too. The need to get ahead has been the motivating principle of her life, and she views the ownership of bigger, better, and newer things as essential markers of their status. She lives within a competitive working class world in which all contentment is dependant on having more than the neighbours, and the size of a family's television screen seems to be some proxy for their worth. But Jack is happy as an employee, and he cares nothing for the acquisition of new possessions, giving in only when necessary to keep the peace at home. Beatrice can never forgive him for what she sees as a lack of enterprise. This is the story of a working class family living at a time when class distinctions are still important, but things are beginning to change. Beatrice's ambition manifests itself in a disdain for everything which is associated with, or enjoyed by, members of her own class. She wants wine bars rather than pubs, hotels instead of boarding-houses: where Jack wants to feel comfortable, Beatrice wants to feel superior. It means she has little time for Jack's friends, considering them all beneath her. These two have nothing in common but their history: her idea of happiness is a bigger house in a better suburb, his is an evening buying drinks for his friends. So, thwarted in her pursuit of status by her husband, she concentrates instead on her children, successfully imbuing them with this idea that life is about getting ahead. Her son is a mechanic working hard towards owning his own garage, and her daughter was educated at the Grammar school and is now at secretarial college. But loneliness seems to be the price which must be paid for being educated out of your class, together with a feeling of shame when you think on your relatives and your home. Beatrice is unaware of something which is completely apparent to her daughter: middle class people have a different set of values, and a desperate aspiration to know them means having to accept second class status. And then Jack wins the pools, and the family suddenly have more money than they can ever conceive of spending. Even though it is only fifty thousand pounds, in 1959 this seems to be a fortune that can almost never be spent. The possibilities they consider seem so small: chicken for dinner every night, a house with a bathroom, a holiday in Bournemouth. Jack needs barely 10 pounds per week to maintain his lifestyle, and so he need never work again. There is always a sense that it can only end badly. Whether it was the corrupting influence of unearned wealth, or the emptiness of a life devoted to acquiring possessions, money was never going to be the answer to Beatrice's unhappiness, and her dissatisfaction never abates, as there are simply new things to trouble her. Her problem is perhaps really about opportunity, for it seems that an ambitious married woman of the '50s had to rely on others to cover ground unavailable to her, as all she had to compete with was the cleanliness of her home, and the success of her husband and children. And Beatrice lacks the critical ability to recognise that just as she rejects those she perceives to be beneath her, she will be rejected by those who perceive themselves above. Keep up the good work. If Penguin published it, whatever "it" might be, it's probably worth reading. Do you find that to be generally true? I share your frustration with the Blogger commenting system, and I don't know the answer, except that I obsessively make a copy of everything I do before hitting post or update. The failures seem random but infrequent, but comments vanish, partly-written posts disappear, and the pages turn to nonsense. Thank you for persisting. 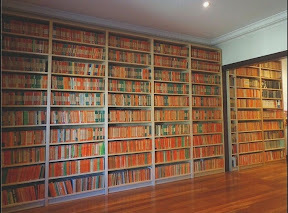 When I was young and without anyone around to guide my reading, I used to visit secondhand book shops and buy books at random, and without knowing anything of publishing houses, I soon worked out that books with an orange spine were a reliable choice, although after a while I realised this was only true up to a certain date (around 1970). While not for everyone, it seems to me a great way to choose something to read, because I am not constrained by the limits of my knowledge, and I can rely on Penguin to have filtered out titles not worth reading. So, yes, if Penguin published it while Allen Lane was alive, it is almost invariably worth reading.